Elekid in game: 3,666 Who? Important notice! Pokemon Elekid is a fictional character of humans. Paul owned an Elekid. He used it to battle to battle Ash's Pikachu in When Pokémon Worlds Collide! and Roark in Shapes of Things to Come. Paul's Elekid evolved into Electabuzz in Smells Like Team Spirit, and evolved into Electivire off-screen, prior to Casting a Paul on Barry!. A drawing of Elekid's prongs by Tracey appeared in Misty Meets Her Match. 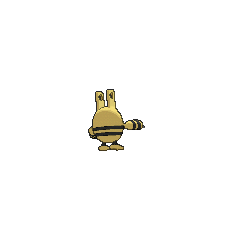 Elekid's first real appearance was in Pikachu's Rescue Adventure where it quickly became friends with Pikachu. 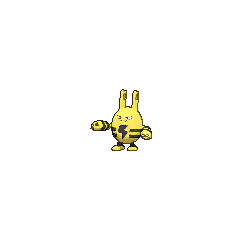 The little Electric Pokémon decided to assist Pikachu and co. in finding Togepi. 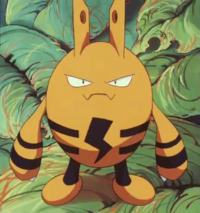 Elekid even stood by Pikachu's side when he was trying to prevent lightning from striking the Giant Tree. Casey captured an Elekid in Here's Lookin' at You, Elekid. It is one of her favorite Pokémon and was seen with her in A Date With Delcatty and Those Darn Electabuzz!. In Reversing the Charges, an Elekid had absorbed a high amount of lightning and was electrifying every other Pokémon in sight. 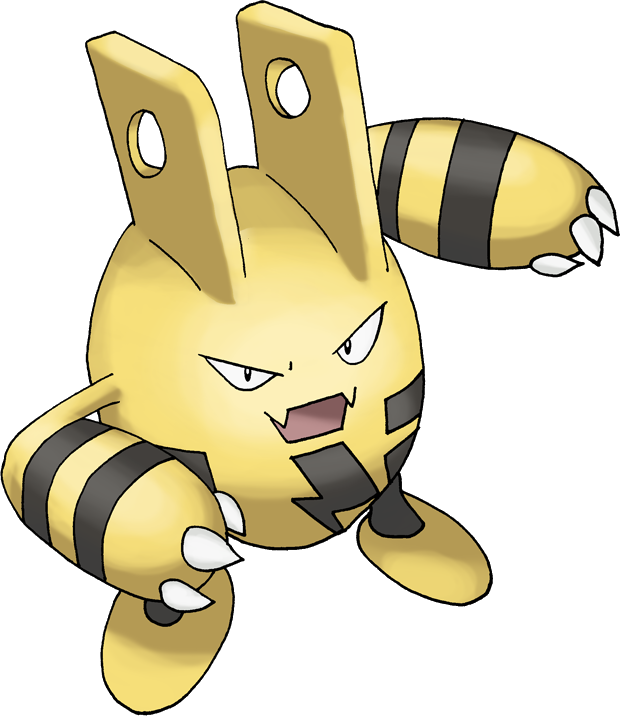 The Electric Pokémon calmed down and returned to its normal self after battling Ash's Pikachu. An Elekid appeared in Three Sides to Every Story!, who, along with Piplup, fell in love with a Marill. A Coordinator's Elekid appeared in All Things Bright and Beautifly! competing in the Rustboro City Pokémon Contest. An Elekid was used by one of the students of the Pokémon Trainer's School in Gonna Rule The School!. 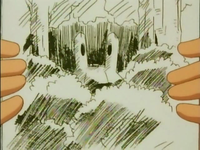 An Elekid appeared in the opening of Lucario and the Mystery of Mew. An Elekid appeared under the ownership of Mitchell in One Team, Two Team, Red Team, Blue Team!. A Trainer's Elekid made a brief appearance in An Old Family Blend! during the Lily of the Valley Conference. An Elekid appeared in Zoroark: Master of Illusions participating in the Pokémon Baccer World Cup. Two Trainers' Elekid appeared in Alola to New Adventure!. 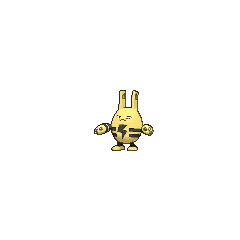 A Trainer's Elekid appeared in The Guardian's Challenge. Three Trainers' Elekid appeared in SM006. 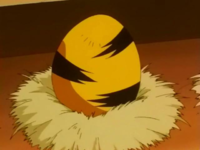 Two Trainers' Elekid appeared in SM007. 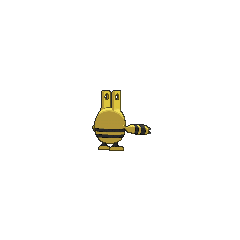 A Trainer's Elekid appeared in SM013, where it participated in the Pancake Race. AG154 Elekid May's Pokédex Elekid, the Electric Pokémon. 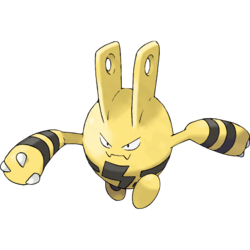 It spins its arms to compose a powerful electric charge. Ken of the Team Rocket Elite Trio is seen with an Elekid in Elekid Incorporated, though she easily loses to Silver's newly obtained Totodile despite having the type-advantage. She appears again in Into the Unown, battling against Gold's Pokémon. She was used in an attempt to capture Suicune in Miltank Melee, she temporarily fell asleep by Parasee's Spore in Iduibitably Ditto. She was later used to induce electricity on Spinarak's web to surround Eusine and Harry in Great Girafarig, after Harry's Girafarig had been defeated she along with Al's Spinarak had quietly escaped. A wild Elekid was captured by Crystal near an amusement park in A Flaaffy Kerfuffle, and was later sent to Professor Oak. Volkner has an Elekid which he uses in his battle against Platinum in VS. Elekid. Elekid is a combination of エレキ eleki (electric) and kid.